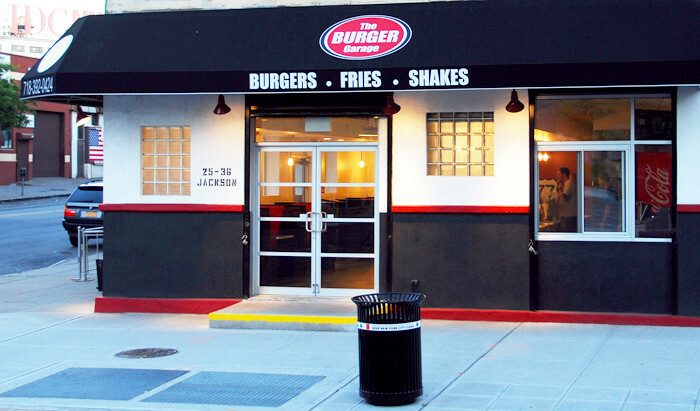 Fooditka: Hot Dogs at the Burger Garage? Hot Dogs at the Burger Garage? Even though there's a question mark at the end of this post's title, it's a hopeful, excited question mark. Actually, on second thought, maybe it should be an exclamation mark "Hot Dogs at the Burger Garage!" Yes...indeed I am excited about this, as The Burger Garage is bringing their hot dog offering to the forefront by announcing their Top 4 Hot Dog Combos. Sure, the hot dogs have been on the menu before, but now they're giving you that something extra - ideas for fun toppings that will really make these babies sing. So without further ado, here are the Burger Garage's top hot dog combos (which by the way also come with gluten free buns if so desired). They all sound delish to me and start at just $3.25. Take a bite out of that, and pair it with a yummy cheeseburger and some onion strings too!